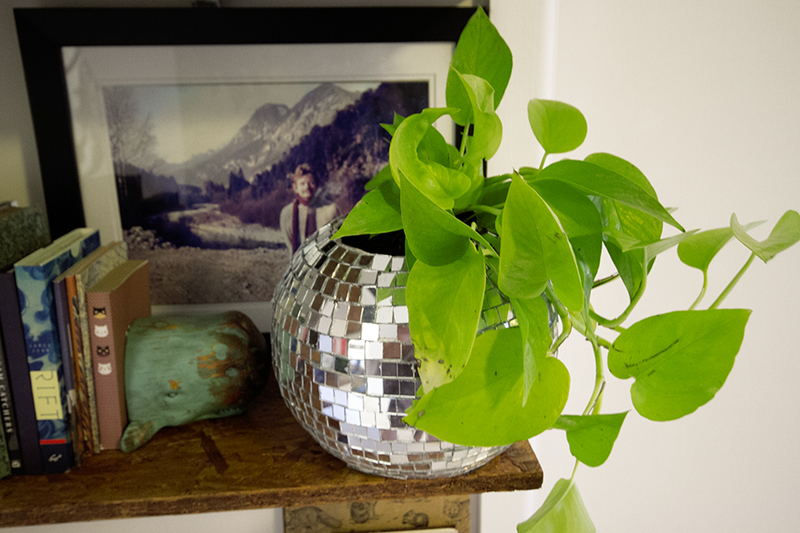 I had a wild idea a few weeks ago – how cool would a disco ball planter be!? 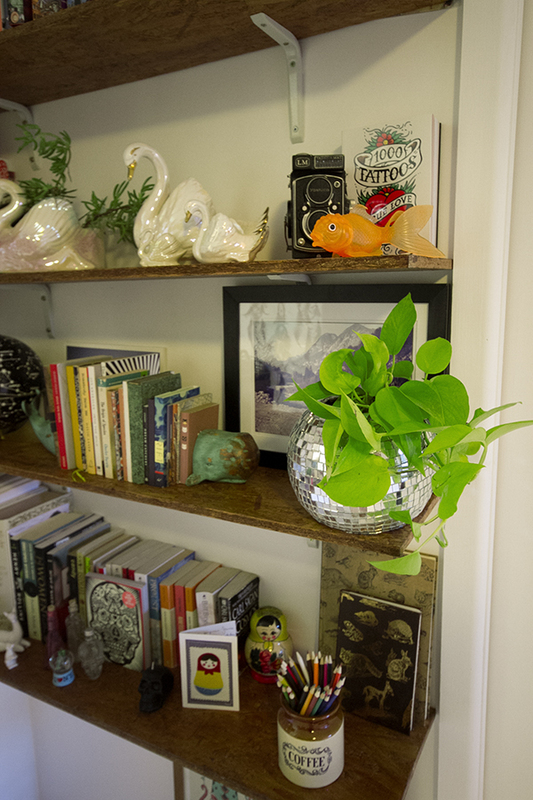 I’d never seen one before and I thought with a nice green flowing plant it could look really lovely sitting on my newly built shelves. Since making this project I actually have seen that there is a company that sells something similar (go figure right!) but they are pretty expensive. 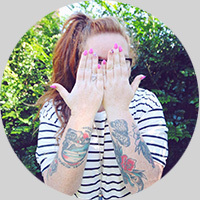 Mine was a lot more effort than I had originally thought but it was still lots of fun and it’s pretty excellent when you’re able to realise an idea and it turns out in the end just as you imagined! 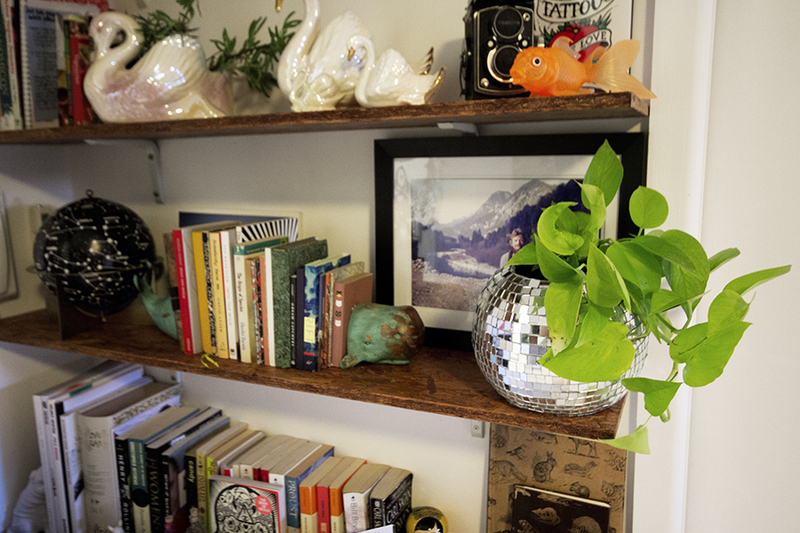 First things first was that I bought a disco ball. 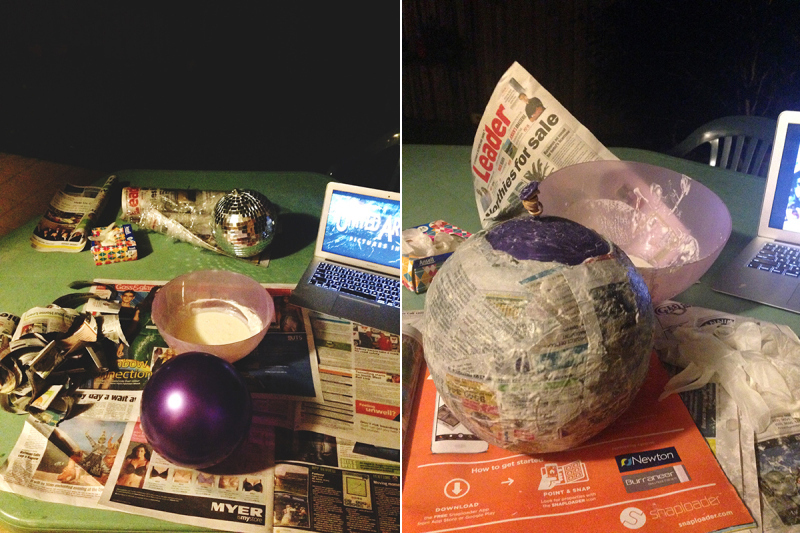 I then made a mould from paper mache roughly the same size as the ball. I did three layers over a few days as they dried because I wanted the mould to be very strong and thick. It wasn’t great weather during this stage so that was a little painful – took ages to dry! Yes I have Ninja Turtle pyjamas… and they’re AWESOME! Once I had a dry mould I painted it up white just to cover the raw newspaper. 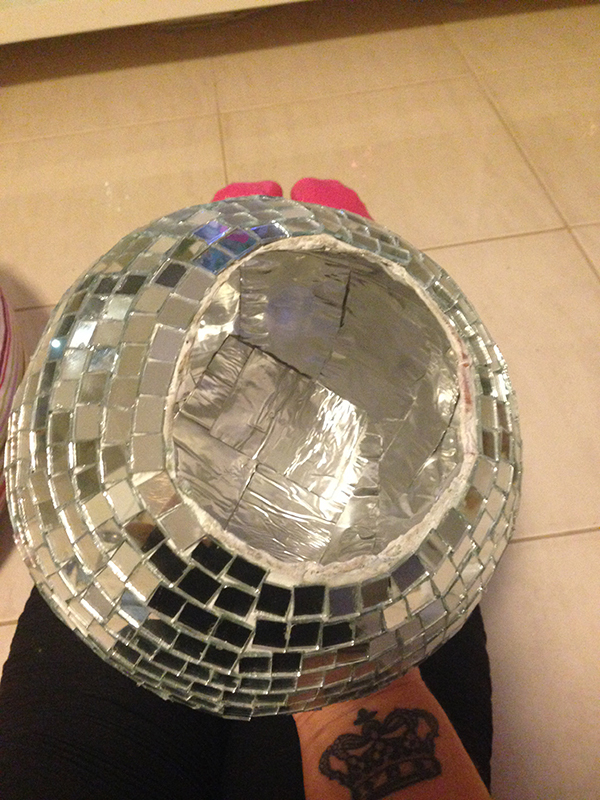 I then painstakingly removed every single piece of mirror glass from the original disco ball and glued them to my mould. I ended up with so, so many cuts, nicks and stings all over my fingers and hands after this process! It took me probably about 5 hours to do the whole thing – it was very fiddly. 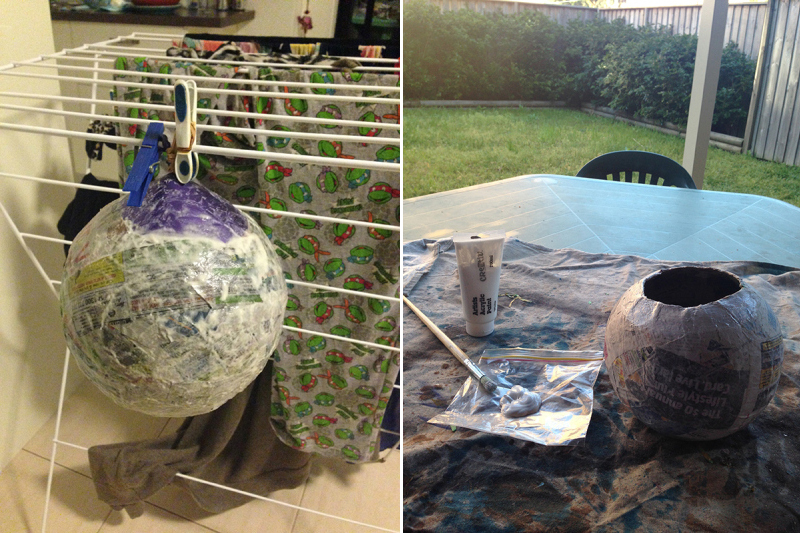 Once it had dried I used waterproofing tape and sealant to line the inside and make sure it was 100% waterproof. 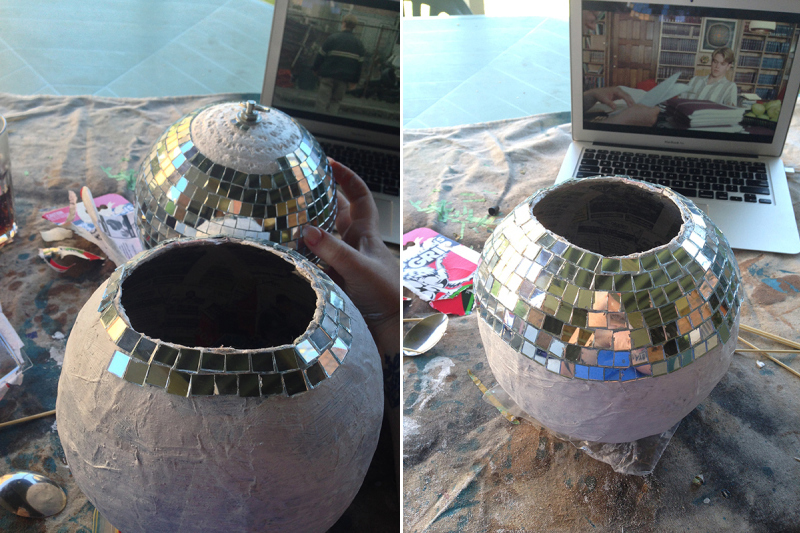 Lastly (not pictured), I cut the leftover styrofoam from the disco ball in two and used one half to sit inside the bottom of the planter. The reason for this was as an extra measure of waterproofing and also to make the planter significantly less heavy by not filling the entire thing with soil. It is still made from paper mache at the end of the day and even though the final mould was very strong, I didn’t want to risk a disastrous collapse from too much soil! 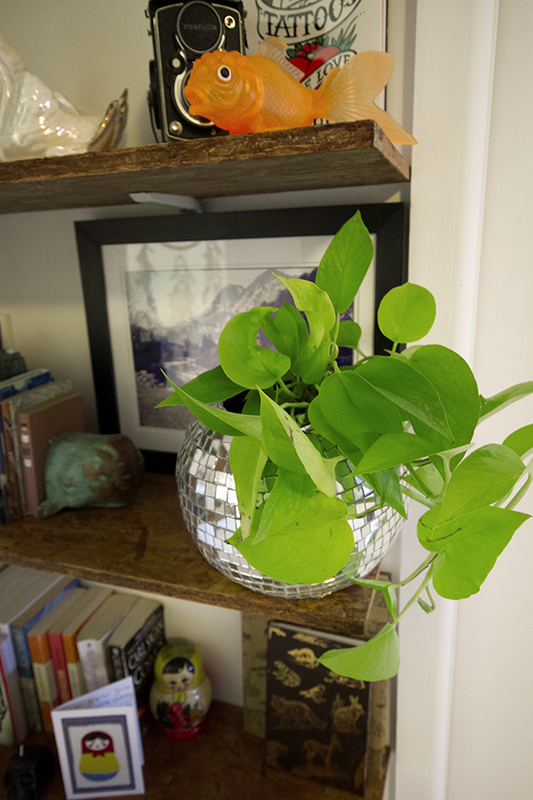 Finally, I potted it and voila! I’m pretty happy with how this one turned out, despite it taking quite a bit longer than I had intended. (Sorry about the quality of some of these photos – most of them were taken with my phone). Next PostThe most incredible sunrise I’ve ever seen.